This entry was posted on 13th April 2017 by Michael Core. The football season is in full swing, and it's getting down to the business end. As clubs battle it out to be crowned Premier League champions and Europe's elite fight for the Champions League, you may want to put on your football boots and give the beautiful game a go yourself (especially as there is no World Cup or European Championships to occupy your time this summer). Before you do, here is a list of essential football kit you will need to become the next Messi or Gareth Bale. Whether you're a Sunday-league slugger or a semi-pro wonder, a new pair of boots always makes you feel great. Throw out the boots you bought three seasons ago that are held together with tape, and invest in a pair of Nike Tiempo Legend VIs. 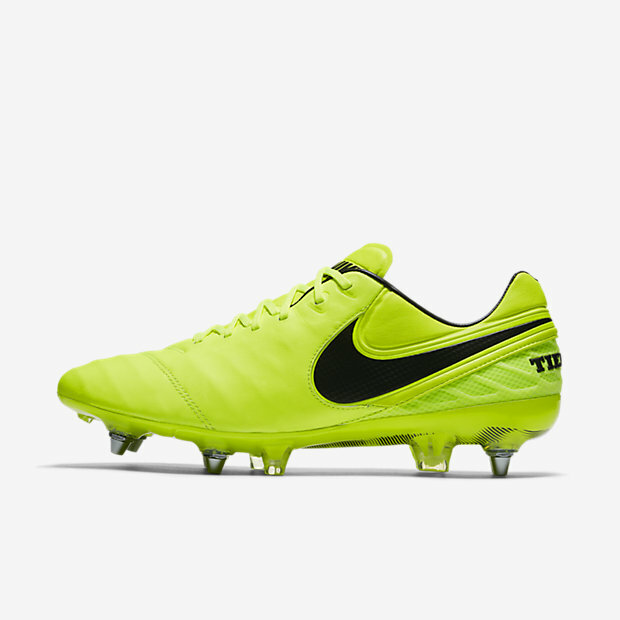 The Tiempo boot has been around since 1985 and prioritises comfort over frills. There are a number of boots that have endless gizmos to make you run faster or kick the ball further, but most make you feel like you're wearing wooden clogs. Any footballer who takes the amateur game seriously will be prepared for all conditions. In the midst of winter when it's pouring with rain and the local pitches resemble a mud bath, only metal studs will do. Try wearing them in pre-season or at the end of the season when the grounds harden and you've just booked yourself a one-way ticket to blister city. The Adidas X Euro 2016 is a hybrid boot that gives you speed and power. Better still, it’s moulded plastic studs will help you perform on the firmest of grounds. Footballers today don't know how good they have it! Back in the day you played on grass and trained on Astroturf (Astroturf was a sand-based artificial pitch that required a skin graft if you ever had the misfortune to perform a slide tackle). Today 3G and 4G pitches are becoming more and more like grass surfaces. They allow games to be played or training to take place in any weather. Although, unlike grass, it won't take a metal stud, so a flat-soled boot with dimples is required. The Adidas Mundial Team Boot is expensive at around £100 a pair but has a lightweight feel in a classic design. A football shirt says everything about a player. If you turn up to pre-season training in a Manchester United, Barcelona, Bayern Munich or Juventus shirt, you're instantly branded a glory hunter. Also, if you happen to be wearing a Barcelona top, you could be setting yourself up for a fall by being more messy than Lionel Messi in possession. 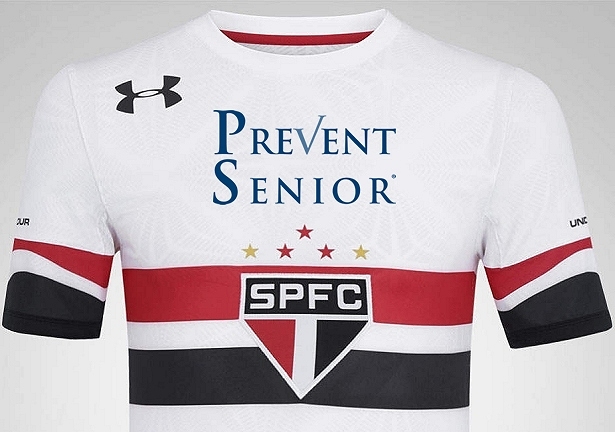 In our opinion, it's best to play it safe, and nothing is more stylish than Brazilian side Sao Paulo's home kit for the 2016/17 season. Underarmour is pretty new to the football kit world, although this design is simple but striking. Never, ever enter a 50/50 challenge without shin pads to back you up. There is always one player out there who fancies a piece of you more than the ball. A good shin pad can be the difference between a small bruise and a lump the size of an Easter egg. The Vizari Malaga is lightweight but sturdy in design and has added ankle guards for extra protection. Gone are the days when electrical tape was used to hold your shin pads in place and keep your socks from rolling down. Now the must-have football accessory is the ankle strap. Easy to put on and comfortable to wear, the Adidas ankle strap ensures your shin pads don't end up flying out of your sock just as you're about to round the goalkeeper. The experts will tell you a compression top will moderate your core temperature, draw moisture away from your skin and help your muscles recover quicker. In our eyes, a compression top is great for hiding those loose bit of flab that you may have acquired during the off-season. Underarmour are specialists when it comes to compression tops, and their Men's UA Charged Compression Short-Sleeve Shirt in black is very striking and will look and feel like a second skin. It has all the scientific benefits we come to expect from these tops, including aiding muscle tissue repair, which leads to shorter recovery times and reduced soreness. There is always that one player who turns up to the game with their kit in a carrier bag - don't be that guy! With all this expensive shiny new kit you'll need something worthy to carry it all in. The Nike Brasilia 6 kit bag comes in red, black and grey, and it's reasonably priced at around £15. You can't have a kick-about without a ball - anyway, if it's your ball you get to say who plays and who doesn't. We've all grown up a bit since then, but you still need a nifty bit of leather to get a proper game started. 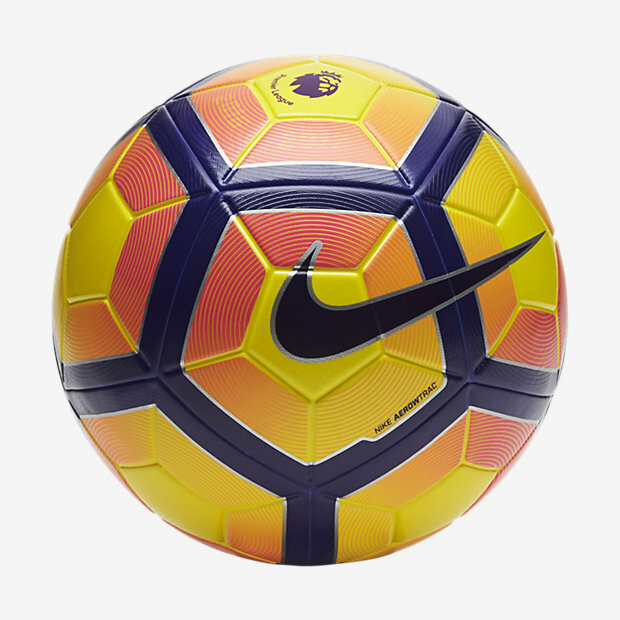 Advances in ball technology have sky-rocketed over the past decade, and the new Nike Ordem 4 (the official ball of the Premier League) is the best one yet. The Ordem 4 uses 3D ink that creates a grip effect, giving players confidence and control on the ball. At around £95 it is a bit on the pricey side. Let's not forget those mad individuals who enjoy standing between the sticks, picking balls out of their net and diving at the feet of onrushing forwards. All goalkeepers need a good pair of gloves, and the Ace Pro Classic range from Adidas is the perfect pair to pick one out of the top corner. 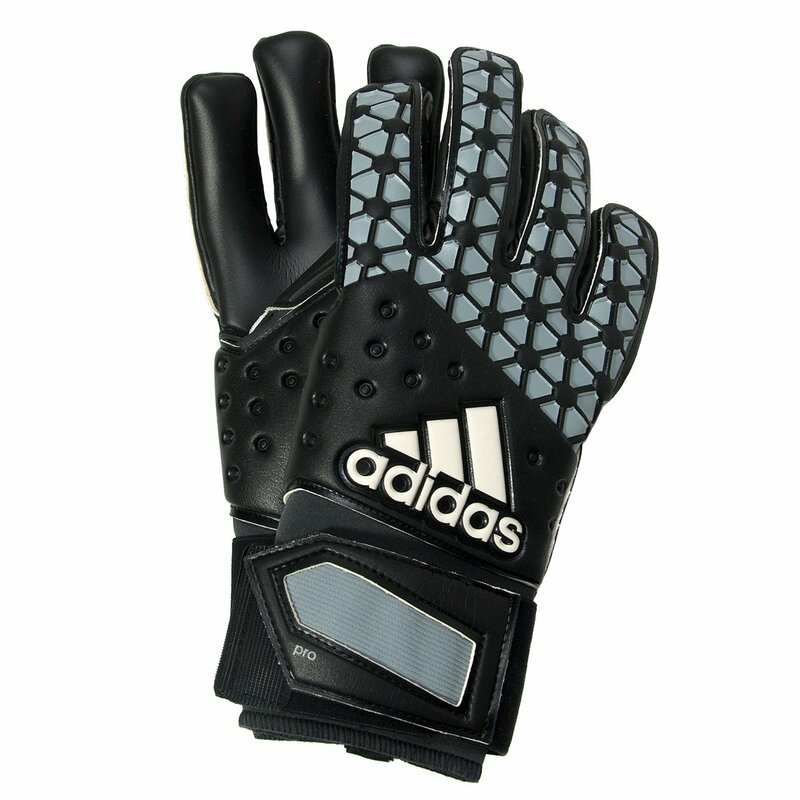 Comfortable to wear, the gloves have a negative cut design that makes them a tight fit. It's cold, it's raining and just the thought of running around for 90 minutes is enough to get your hamstrings tightening. Muscle rub, which warms the surface of your body once applied, is great at helping players avoid injury. Better still, if a game leaves you with aches and pains, a quick rub-down with a muscle lotion will ease the pain and get you moving freely again. Deep Heat is the UK's number one muscle rub and comes in a variety of strengths and applications - from cream, spray and heat pads. A life-saver for a South American football star on a cold windy night in Stoke, the thermal glove splits opinion amongst football fans. Some won't mind their best players turning out in gloves, while others will see it as a sign of weakness. Rumour has it QPR player Adel Taarabt used to wear them during the warm pre-season months. For players who don't fancy the cold weather and want to feel warm while all other players freeze around them, the Nike Element Thermal Running Gloves will be a sound investment at around £18.